Trump picks ex-Bear Stearns economist for Treasury position. “While it’s frowned upon to look for a silver lining when markets tumble and painful losses accumulate, the housing- and debt-market corrections will probably add to the length of the U.S. economic expansion,” he added. This was also not correct. By the time Malpass wrote all this, Bear Stearns’ own hedge funds were already in turmoil due to mortgage losses. Two days after the publication of this piece, BNP Paribas froze three of its funds, marking the real beginning of the credit crunch that then metastasized into the utter horror show of 2008. By March, Bear Stearns was getting sold to J.P. Morgan practically for spare change in a last-minute rescue deal backed by the Fed. Economists are, of course, frequently wrong, especially when trying to guess when the next recession is around the corner. But Malpass followed his epic swing and miss by crying out for higher interest rates in 2011—a terrible idea—and complaining, weirdly, that the economy was suffering because the dollar wasn’t strong enough. He also ran in New York’s 2010 Republican Senate Primary and lost. All of this makes him a sort of odd fit for the Trump administration. As Thornton McEnery pointed out over at Deal Breaker, our incoming president has generally stocked his Cabinet with highly successful Wall Streeters—guys like Wilbur Ross, Steve Mnuchin, or Gary Cohn—not guys who’ve faceplanted trying to make the biggest call of their careers. (Another exception may be CNBC talking head Larry Kudlow, who confidently told the world there was no recession coming in December 2007, and may head Trump’s Council of Economic Advisors). Moreover, Malpass’ strong dollar obsession doesn’t really mesh with the Trump administration’s stated goal of reviving manufacturing and exports. However, he does bring to the table high-level government experience from his days in the Reagan and George H.W. Bush administrations, during which he worked on early versions of NAFTA. Plus he signed onto Trump’s team as an economic adviser during the campaign and has since helped guide the treasury transition, so he has loyalty going for him. So, what is Malpass getting tapped to be? Undersecretary for international affairs, a position that sometimes gets described as America’s “financial diplomat.” Ex–Treasury Secretary Tim Geithner held the job during the Clinton years, and as the Journal puts it, “Mr. 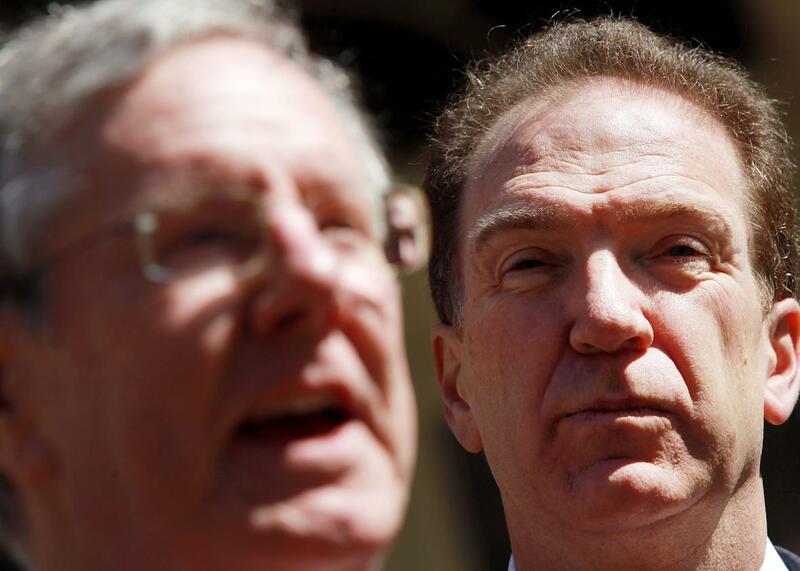 Malpass would advise the Trump administration on global economic and financial developments, taking the lead on G7 and G20 macroeconomic issues.” Which is to say, assuming Malpass is confirmed by the Senate, he’ll partly be responsible for figuring out when the global financial system is about to burst into flames, then putting out the fire. We can only be thankful Trump has picked such an eagle-eyed scout for the job.